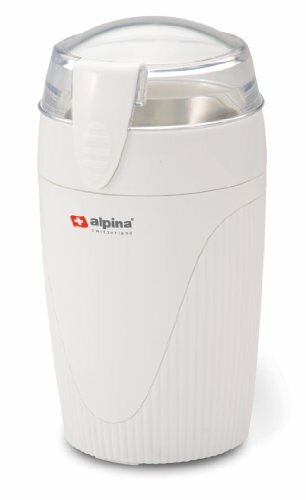 Alpina Coffee/Spice Grinder with 2 Year Warranty. Dry capacity: 28gm. Grinds coffee beans, nuts, spices and dry fruit. Integrated cord wrap for easy storage. Cover with built-in safety switch. Steel grinding bowl and rust free steel blades. Operating time 30 Seconds.